(U.S. Senate)—U.S. Senator Jon Tester is introducing legislation to hold France-based Imerys accountable for locking workers out of its jobs at its talc plant in Three Forks. Tester’s bill, the Prohibiting Incentives for Corporations that Kickout Employees Tax (PICKET) Act, will eliminate tax breaks, deductions, and credits for corporations that lock out their workers during a labor dispute. 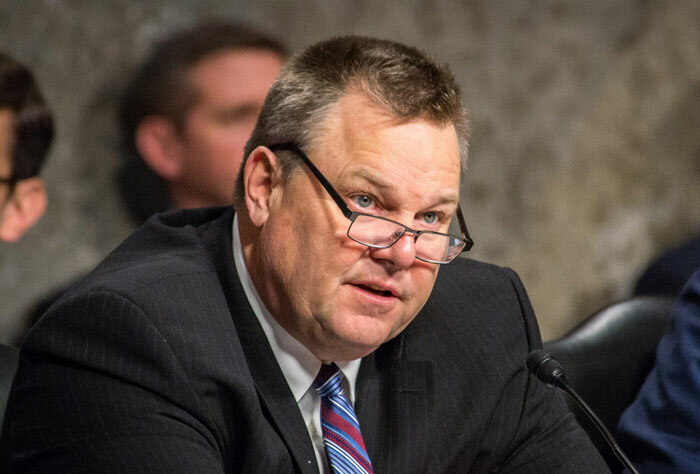 Tester rallied with workers locked outside of the Imerys plant in Three Forks last month and vowed to take legislative action in the U.S. Senate. Tester’s bill will specifically require corporations who lock out workers during a labor dispute to pay the old corporate tax rate of 35 percent, rather than the new rate of 21 percent for the entire taxable year. Tester’s bill also will prevent these corporations from deducting wages and benefits paid to any temporary workers during the lockout and prevent the corporation from receiving certain tax credits for hiring replacement workers. The PICKET Act applies to all U.S. corporations and U.S.-based subsidiaries of foreign corporations like Imerys. The lockout at Imerys is the first labor lockout at this plant in Montana since the 1980s. Tester’s bill is available HERE.